I don’t know how many times I’ve made the drive from L.A. to the Bay Area. The number is well over 100, and spans a time period of over 50 years. Even as a child, I was irrationally obsessed with images of San Francisco, and begged my parents to take me there. My family traveled together on the train in August of 1960. 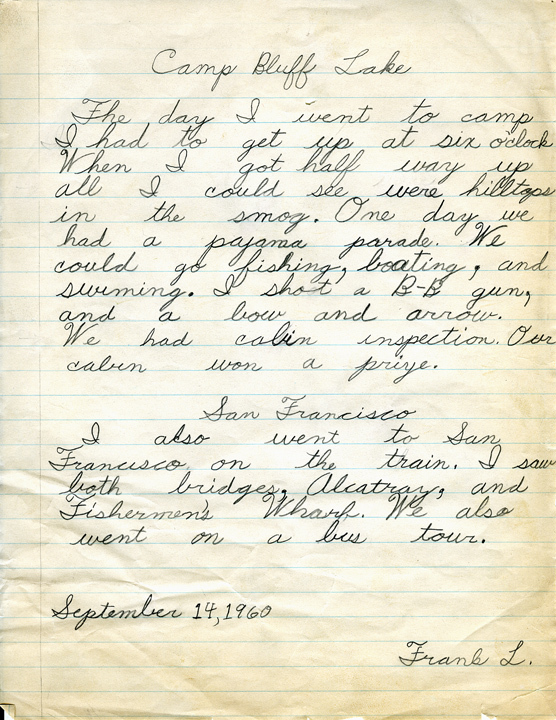 We were tourists that first time, and I recorded the vacation in a short essay for my fourth grade class, with what was my very best effort at penmanship. I’ve just returned from a road trip; this time it was part business and part pleasure. Stops in Oakland, Fairfax and Sebastopol were for gallery duties—picking up and dropping off artworks, and viewing a painting. 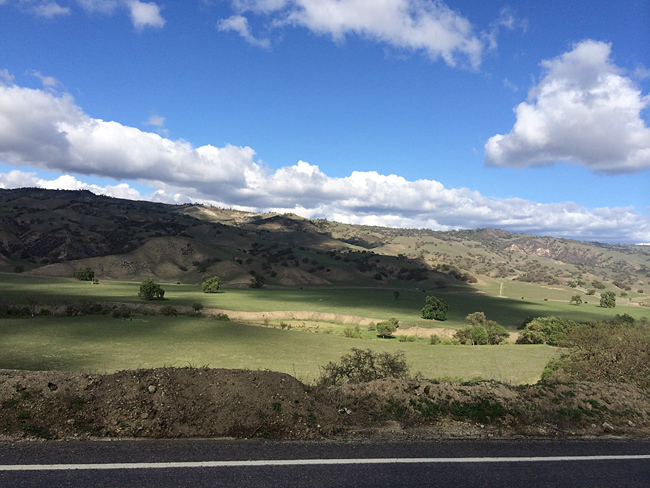 During the long drive, I had a chance to reflect on my multiple trips, and my relationship to the oft-cited divide between the two regions of California. The divisions of geography, climate, politics, and culture are often the subjects of debate. The controversies and arguments can grow passionate—especially the rivalry between Dodger and Giant fans. But what I was recalling—the people I know in the world of art—was a different story. It demonstrates how very much interrelated the lives of the artists and the two regions are. Let’s take, for example, the story of our artist Richard Shaw, who was born in Hollywood and lived in Newport Beach before becoming a resident of the quintessential Northern California town of Fairfax. 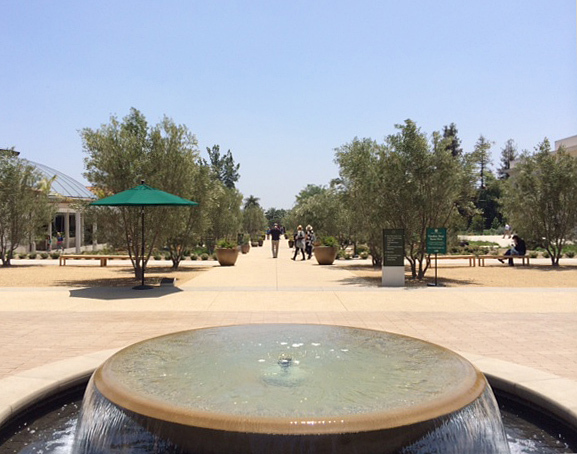 Or consider the history of my friend, the late Henry Hopkins, a UCLA graduate who went on to become the Curator of Exhibitions and Publications at LACMA, before his tenure as Director at SFMOMA, and then his eventual return to the Hammer. Don’t forget about Richard Diebenkorn, whose first shows were in the Bay Area, but produced perhaps his most well-known series of paintings in a studio in Ocean Park, a neighborhood in Santa Monica. Peter Selz, who had a stay in Claremont before going to MOMA as the Chief Curator of Painting, eventually wound up in Berkeley. 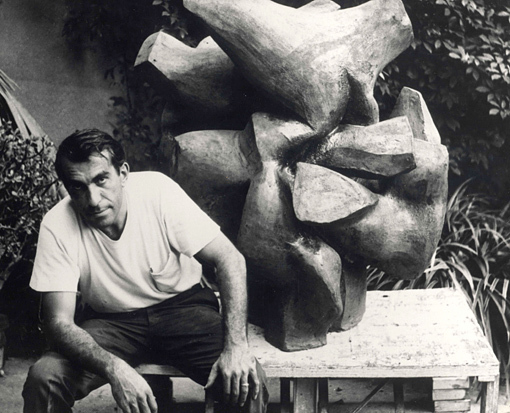 Peter Voulkos, a Montana native who attended California College of Arts and Crafts for his master’s degree, came to L.A. during the period of 1954 to 1959, then returned to Berkeley. This list could go on, but the thought persists: Is there really such a division between the two Californias? I think not. Yes, the politics and culture may differ overall, but the people travel freely through some sort of permeable membrane. I have lived and worked in both the North and South, and so have many of my friends. Though I must be clear about one thing: I’m still a Dodger fan. 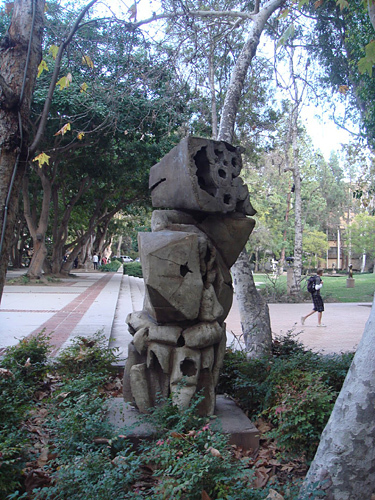 Throughout California, there are many more examples of Voulkos’s artwork. The San Francisco Museum of Modern Art regularly displays Tientos, 1959 in their second floor gallery. And across the bay at the Oakland Museum, the collection includes Little Big Horn, 1959, the piece that knocked people out in the first room of last year’s Pacific Standard Time show, “Crosscurrents” and set the stage for the artists that followed. 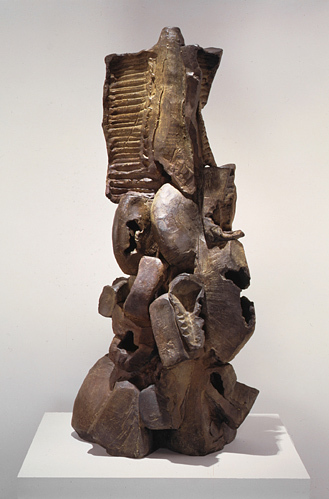 Lest you get the idea his work is concentrated in the West, there’s plenty of Voulkos on the East Coast, too. His work is in the collection of the Whitney Museum of American Art and the Hirschhorn, as well as the Smithsonian American Art Museum. Or take, for instance, the MFA Boston, which boasts four works in their permanent collection. The awesome and monumental Camelback Mountain, 1959 is clearly the most important Voulkos work in the MFA Boston collection, and it’s prominently placed in the Saundra and William H. Lane Galleries. The interesting thing to me is this: the MFA Boston curators agree with me that Camelback Mountain is an example of American abstract sculpture. The work is placed in the “Abstraction” section of the galleries and its neighbors are some of the greatest painters of the 20th century: Jackson Pollock, Adolph Gottlieb, Joan Mitchell, Philip Guston and Robert Motherwell. 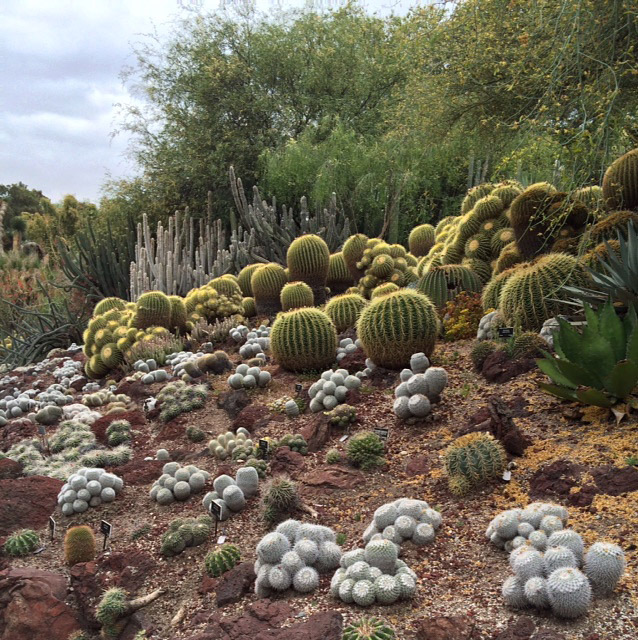 Pictured here is Sevillanas, also from 1959 and in the same style as Camelback Mountain. When I read these words, I am proud to have brought this kind of abstract sculpture to audiences in Southern California. And I am especially proud of the work that I did when working with Kirk Delman and Mary MacNaughton for the Scripps College exhibition, “Clay’s Tectonic Shift.” Our collective effort was enormous, and our intention was clear: to do original scholarly research leading to an exhibition, sponsored by a research foundation, at an educational institution. We did exactly that, and assembled an unprecedented exhibition that lives on in a highly informative publication. It was about abstract sculpture, and it was a success.